Under the expert guidance of Mr. Kirk Wheeler of Karstadt Taekwondo, a retired police officer of twenty-six years, boys ranging in age from three to eleven years learn the skills and “street smarts” they need to stay safe, as well as the confidence to say, “No one is allowed to hurt me.” Following directions while shouting, “Yes, sir, Mr. Wheeler!” is just one example of the courtesy, confidence, and self-discipline learned at these classes. Students are proud to learn remarkable skills, such as the ability to break a board with their bare hands. Not surprisingly, boys who receive this instruction and guidance are better equipped to manage the inevitable ups and downs of school and every-day life. 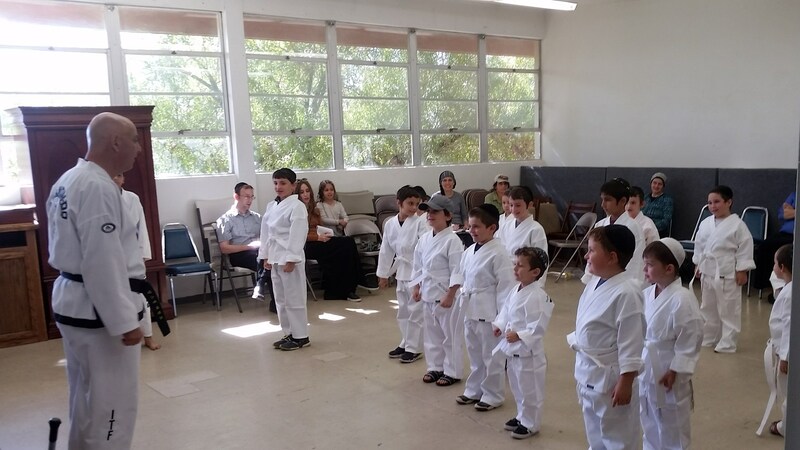 TaeKwonDo takes place every Sunday at TDSP. For more information, or to enroll, please call Rabbi Gedalia Goldstein at 267-237-7598.